A screenwriter is suing Oprah Winfrey for allegedly stealing her Greenleaf idea. Wynn claims they met with Oprah’s team at OWN in fall 2014 and pitched their idea … and got great feedback. According to the docs … they were lured by OWN for more ideas and versions of their pitch, but eventually got cut off. 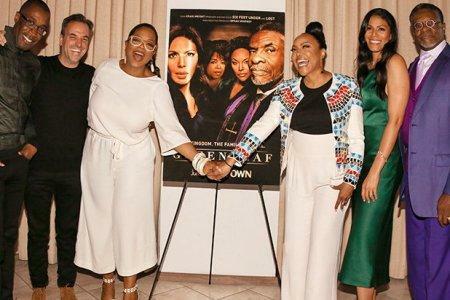 Years later, they claim “Greenleaf” premiered and featured the exact same characters and storylines from their original pitch. The show credits, list Craig Wright as creator. Wright, who use to be a Pastor, talked with The Hollywood Reporter awhile ago, about how he and Oprah met during the networks “Belief” screening (which was in 2015), and the church drama was born. I met Oprah when she made a documentary series for OWN called Belief. I got invited to come to a screening to give my thoughts before it aired. She and I started talking and she found out I used to be a minister, so she started telling me stories about her history in the black church and I started telling her stories about my history in the white/everything else church and it just grew.